Last year I wrote about how 6,600 homes in Hammersmith and Fulham were denied Superfast Broadband (defined as a minimum speed of 30 Megabits per second). The problem at the time was a petty dispute between the Council and BT Openreach over the correct amount to charge for the street works for cabling for the fibre broadband to the new Cabinets. That has now been resolved. Yet there remains problems in some areas. If Virgin had put down cable for their cable TV service that would provide an alternative. But they haven’t – at least not yet. Some streets have both service providing welcome competition. But I’m afraid that there are still too many with neither. Meanwhile the Council has given contradictory messages about whether it could or would provide a subsidy via Section 106 payment to resolve the matter. But BT Openreach say they couldn’t take the money as it would break EU procurement rules on state aid. It is also rather confusing for the Council to be both demanding an extra charge for road works and then offering a handout to make the figures add up. During all this dithering and buck passing residents have been getting ever more exasperated. Anyway the good news is that I understand Hammersmith BID, a group representing local businesses, have agreed to pick up the tab – £9,268 – for BT Openreach to go ahead for Cabinet 50. If confirmed it will still take them six months or so to do the work. The Government have been pushing BT to get on with it. There was a target of 95 per cent of premises to be able to receive Superfast broadband by the end of last year. That was (just) reached. It is due to reach 98 per cent by 2020. It is expected there will then be a “universal service obligation” so those who still have broadband speeds below 10 Megabits per second will have a “right to request” although if the cost of setting it up is above a certain amount they would have to pay. One could understand it would be a bit tricky if you lived on the top of a hill in some remote area. But it is exasperating to have this trouble in Hammersmith and Fulham. The website Think Broadband keeps track of progress by different areas. In Hammersmith and Fulham our Superfast Broadband coverage is 95.2 per cent. That is below the London average of 96.8 per cent. Consider our neighbouring boroughs. Hounslow is 99.1 per cent. Wandsworth is 98.2 per cent. Kensington and Chelsea is 98.1 per cent. Brent is 98.2 per cent. Why are thousands more of our households being left behind? My colleague Cllr Mark Loveday has been pursuing the matter. He has asked for it to be brought before the Finance & Delivery Policy & Accountability Committee again due to the failure to make better progress. I hope that the Council agrees to the request and representatives from BT Openreach and Virgin will attend. Talking to business owners in King Street I have been impressed by the good humour and resilience they have shown after the recent flooding. Among those I went to see was Natig Mammadov, whose new cafe Laissez Faire – opened only last month. It is based at 198 King Street. Natig moved to London three years ago from New York where he worked as a lawyer. He is originally from Azerbaijan now lives just across the river in Putney. The cafe was opened after an extensive renovation, with everything from the ceiling to the floor being torn out and rebuilt. 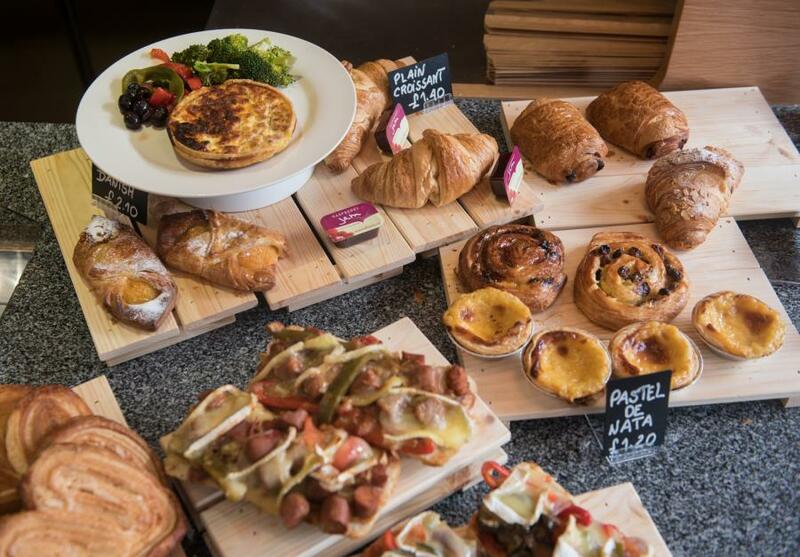 The modern fresh décor of wooden tables and leather sofas makes it a great place to have a tea or coffee, as well as enjoy Natig’s favourite bits of French cuisine – baguettes, ham, cheese and pastries – all imported straight from France. The choice of name reflects his devotion to free trade, free markets, personal liberty and classical liberalism. Natig has plans to hang the artwork of local artists, which will be up for sale, on the walls of his coffee shop. In the Budget in March this year, the Chancellor of the Exchequer announced a £300 million relief fund for Business Rates. The reason was that while the rates revaluation was revenue neutral, some firms were being hit by sharp increases. This scheme is to ease some of that burden. Most welcome. Straight away the figures were published as to how much funding was available to each local authority to pass on. All the local authorities had to do was to decide on the details for their discretionary scheme, adopt it and ask central government for the money. But many have been slow to get on with it. The Department for Communiities and Local Government publishes a list of “billing authorities that have confirmed to the Department for Communities & Local Government that they have begun rebilling for the three business rates relief schemes announced at spring Budget 2017.” There were 46 eligible councils that had not yet confirmed they had started rebilling for the discretionary scheme. The list included Hammersmith and Fulham. It’s now nine months on from the announcement of emergency relief for those most harmed by April’s business rates revaluation. While some councils got on and distributed that help, others have been slower to take action. The Council’s Cabinet did finally agree to adopt a scheme for this on November 6th. I suppose it will write to let the Government know in its own sweet time. I asked why it took us so long, given that the neighbouring borough or Kensington and Chelsea had sorted it out months ago. I was told it was because differences in the “decision making process” meant that K&C did not need Cabinet approval. Nonsense, of course. K&C also gave Cabinet approval – the difference was they approved it on April 27th. 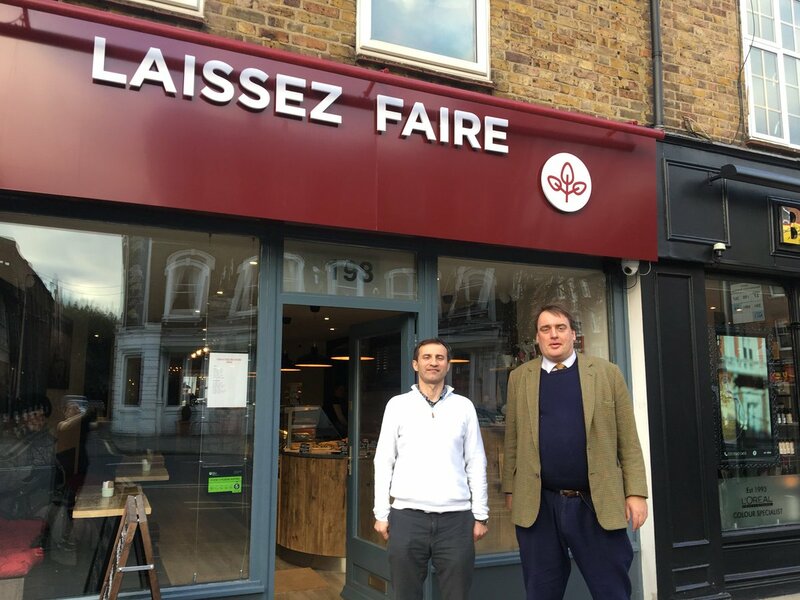 Hammersmith and Fulham Council, having been asleep at the wheel for eight months, then had the nerve to boast it had “secured” £4 million “to help local businesses”. Councils will routinely issue virtue signalling proclamations about how they are “open for business” and all the rest of it. Yet many small firms have faced an extra strain on their cash flow due to needless delay in this relief being provided. It makes sense for some flexibility to be allowed – that is in the spirit of localism. But that is no excuse for the long delays seen in some areas. At least the transparency shown by the DCLG means we know who the culprits are. An interesting proposal from Shaun Bailey, a London Assembly member and former Conservative candidate for Hammersmith regarding cash machines. “In the past two years, 40 bank branches have closed across the capital, making free withdrawals more difficult, while statistically many Londoners live more than one km from a free cash machine. I have taken this up with Hammersmith and Fulham Council. My understanding is that the Council could also gain some useful revenue. This is because even when the customer isn’t charged the bank is. So firms will pay a fee to businesses (or other organisations) who host cash machines on their premises. “Departments have been asked to look at how the Council could include in the Local Plan or Supplementary Planning Guidance the requirement that master-planning for major developments should include suitable provision for free cash machines where necessary, and also classify free cash machines as ‘social infrastructure’ within the Local Plan, and CIL/s106 guidance. The Council’s Finance and Delivery Policy and Accountability Committee last night included an item I had requested Superfast Broadband rollout across the borough and was attended by a representative from BT Openreach. Given the high density of our borough we should be leading the way – yet we are below the London average. 94.3 per cent of our properties have access to Superfast Broadband in London overall it is 95.3 per cent. BT Openreach had plans to roll it out to another 6,600 homes in Hammersmith and Fulham, which is in fact only 20 street cabinets. They have, however, formally suspended any further rollout as a result of a dispute with the Council. The dispute relates to the Council’s categorisation of the street works which are required to provide the cabling for the cabinets. This in turn depends on the interpretation of the New Roads and Street Works Act. The Council says the works would be major works, which require a certain period of notice and a fee of £326, whilst Openreach say they are standard works, which would require a few days’ notice and a fee of £130. On non-traffic sensitive streets the fee difference is even less (£223 for major works and £75 for standard works). It therefore comes down to a monetary difference of less than £4,000 and a dispute about principle (which both sides say would set a precedent for other utility companies or for other boroughs). The Committee expressed its frustration about the fact that 6,600 homes were going without access to fibre broadband because of this pretty pathetic dispute. Both sides agreed to talk about it further. More significantly, they both agreed with a suggestion from Cllr Mark Loveday that they should consider mediation if it could not be resolved quickly.